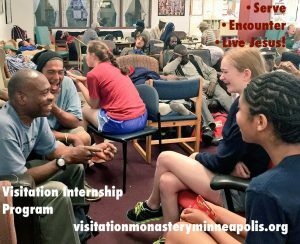 On behalf of the Visitation Community, I extend gratitude for your visit and spirited presence among us for the week celebrating our 25th Anniversary in north Minneapolis. We are so lucky that Fr. Mike Newman, OSFS, was able to come for a week and tote all of you along! 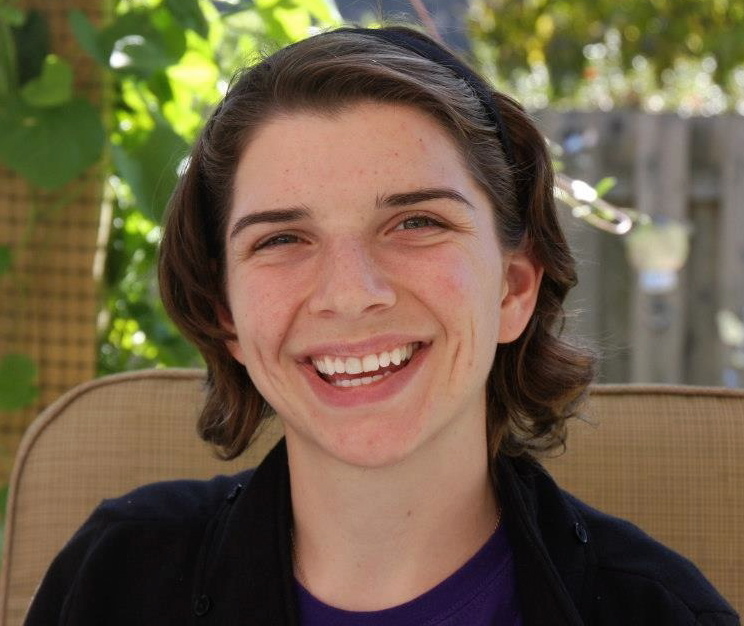 What a director you have for your novitiate! St. Jane House experienced a new level of Salesian presence with all of you in residence. 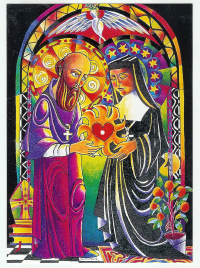 I try to imagine our founders, St. Jane de Chantal and St. Francis de Sales, moving about in the week of your visit; their smiles, laughter, sighs, and joy with our time together. Can you see this? You are welcome back anytime. In the meantime, you remain in our prayers as you make your way through your novitiate year. We hold Fr. Mike, especially, in his role as Novice Master. Blessings as you pursue the vocation to “Be who we are and be that well!” as St. Francis de Sales counseled. *For more on the Oblates of St. Francis de Sales, visit their website. **To see more photos of the Oblates’ visit to the Twin Cities, visit our Flickr Album, “Oblates Among Us”. 2013 Virginia McKnight Binger Human Services Award recipient Brian Mogren surrounded by family, collaborators and northside friends. He’s making the news, this time being seen for his role in supporting our northside brothers and sisters. We couldn’t be prouder of our dear friend, lay companion and brother, Brian Mogren, who was honored this week with the Virginia McKnight Binger Human Service Award. 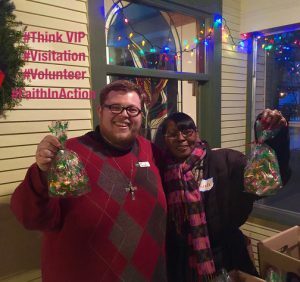 As director of St. Jane House, Brian exudes the charism of our Visitation order in and through his hospitality, service and quiet leadership. 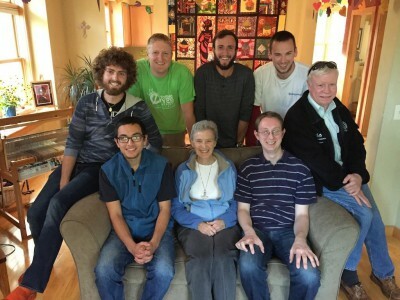 We can only imagine our co-founders St. Jane de Chantal and St. Francis de Sales smiling broadly down on our brother Brian this day — as he goes about building relationships and “Living+Jesus” in North Minneapolis — and beyond! We invite you to get to know our dear friend and Visitation Companion who resides just two blocks away from our monastery in the St. Jane House. Come and pray with him on Tuesday morning at Centering Prayer. Or treat yourself to an afternoon of reflection or overnight stay under the hospitable care of brother Brian — and learn first hand what his heart and mind are up to as he seeks to “be who he is, and be that well”. Service Immersion: Welcome to the Class of 2013 Visitation School Seniors! Come and pray with us! Come and serve! As we welcome the Visitation School students – here for their Senior Apostolic Service experience and urban plunge – and with Memorial Day rapidly approaching, we know summer is right around the corner! The Visitation Sisters of Minneapolis would like to invite you to prayerfully consider ways that you might engage with us these warm weather summer months. Join the Sisters for Prayer and/or Masses: The Sisters pray four times a day at the monastery; Centering Prayer is every Tuesday morning at 8am at St. Jane House. Call ahead if possible. 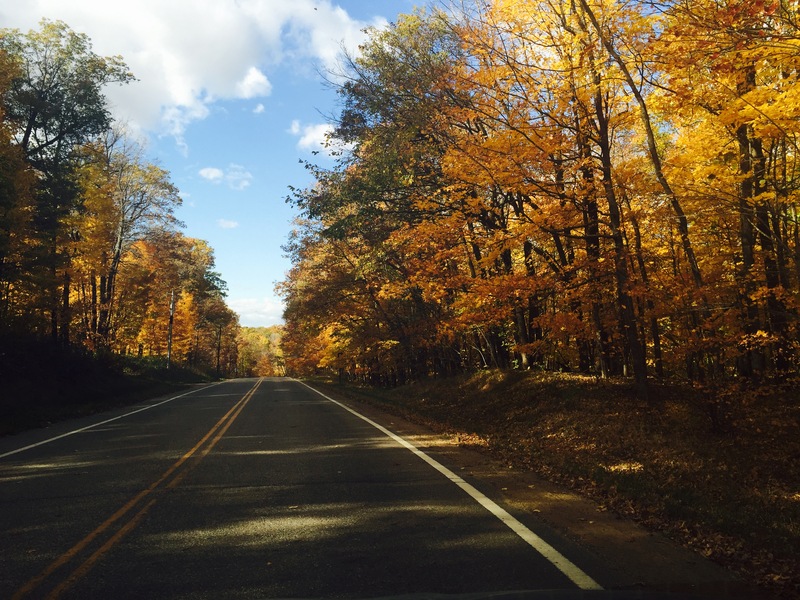 Contact: Sr. Mary Frances Reis: maryfranreis@aol.com, 612.521.6113. First Friday Adoration and Mass: 10:30 a.m. the first Friday of each of each month. Call ahead if possible. Cursillo Men Prayer Time: 7:00 a.m. the first Tuesday of each month: Time of prayer and fellowship. Call ahead if possible. Code Red: Join with the mother’s of From Death to Life and others (MAD Dads) to pray for peace and be a silent witness: Second Saturday of each month. Prayer 1⁄2 hour, stand near Broadway 1 hr. Contact: Sr. Mary Margaret. Books with Jane: Join with others at St. Jane House to discuss a selected book. See St. Jane House Facebook Events page for more information or contact Brian Mogren. Mentor a Neighborhood Individual or Family: Establish an ongoing relationship with a neighborhood individual or family. Examples: Teach how to clean house gutters, make small repairs; Teach how to budget or make meals from scratch; tutoring, etc. 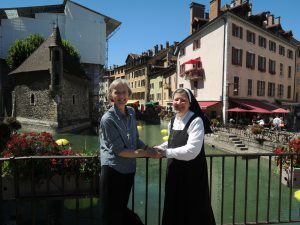 Contact: Sr. Suzanne. 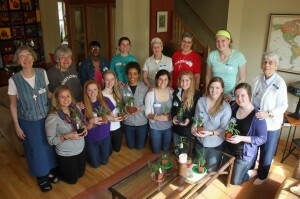 Sisters Garden: Help plant and weed the gardens at Fremont House. 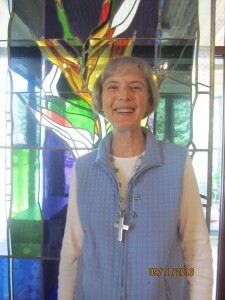 Contact: Sr. Suzanne. Door Ministry: Greet visitors to the monastery; Hand out tokens or cub cards; Pray with visitors; Training provided. 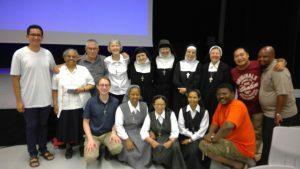 Contact: Sr. Suzanne. Library Assistant: Help with dewy decimal labels; Record new books on spreadsheet; Help shelve returned books/dvds/cds/vhs. Contact: Sr. Mary Virginia. Family River Cook outs: Invite a neighborhood family to join you at a cook out down by the river. Purchase and make food; Plan some games. 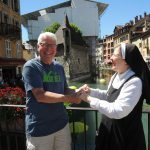 Contact: Sr. Suzanne. 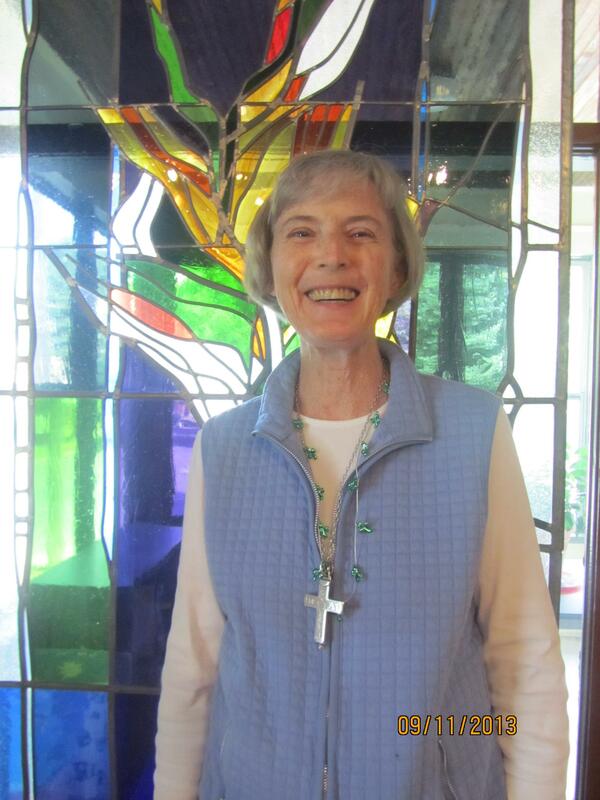 Friday, May 24, 1pm: Women’s Retreat Set Up Contact Sr. Suzanne.